Theodore Roosevelt was born in New York City in 1858. 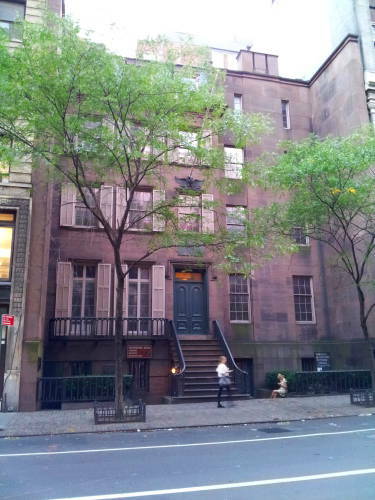 His father was a very successful businessman and philanthropist, they lived in a nice brownstone at 28 East 20th Street. 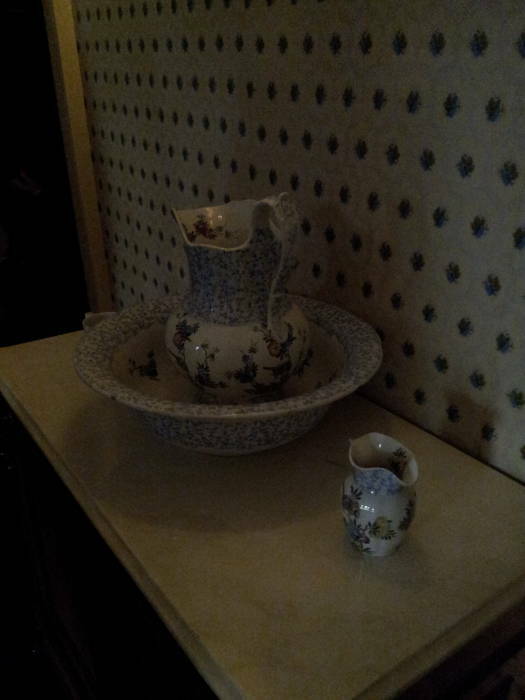 You can visit it today, and see the family's chamber pot among other furnishings. By the way, don't refer to him as "Teddy", he didn't care for that at all. It's Theodore or TR. Theodore's ancestor seven generations back, Claes Maartenszen van Rosenvelt, came to Nieuw-Amsterdam between 1638 and 1649. His son, Nicholas, changed the spelling of the family name to "Roosevelt". The family became prominent in New York business and operated Roosevelt & Son, a glass and hardware importing business based in Lower Manhattan. By the time Theodore was born, Roosevelt & Son had transitioned into financial services. Theodore's grandfather, Cornelius Van Schaak or "C.V.S." Roosevelt, was involved in the founding of Chemical Bank. C.V.S. 's son Theodore, commonly known as "Thee", was involved in the family business and very active in philanthropy in New York City. Thee was one of the founders of both the Metropolitan Museum of Art and the American Museum of Natural History. He founded the New York Orthopedic Hospital, the New York City Children's Aid Society, and the Bureau of United Charities; and he supported the Y.M.C.A. and the Newsboys' Lodging-House. Thee married Martha Stewart "Mittie" Bulloch of Roswell, Georgia, supposedly one of Margaret Mitchell's inspirations for the character of Scarlett O'Hara in Gone With The Wind. Her family remained in the south, she openly supported the Confederacy and two of her brothers fought for the Confederacy. Thee supported the Union during the Civil War, he was one of the charter members of the Union League Club. He developed the Allotment System, and convinced Abraham Lincoln to pressure Congress to adopt it. It was an army payroll deduction program that sent one-third of a participating Union soldier's pay to his family back at home. However, given the Union-Confederate split in the household, Thee paid a man to take his place in the Union Army. Their first child, Anna, known as "Bamie" or "Bye", was born with scoliosis. Thee had found a young physician who had developed new techniques for correcting orthopedic problems in children. Thee organized what he described as a party for the upper crust of New York society. The guests arrived to find a room filled with children in braces made to the new design. They immediately donated enough to found the new hospital. Their second child, born in 1858, was a boy whom they named Theodore Junior. Two more children followed. Elliott, the third child, later had a daughter, Anna Eleanor Roosevelt, who went on to marry her distant cousin Franklin Delano Roosevelt. 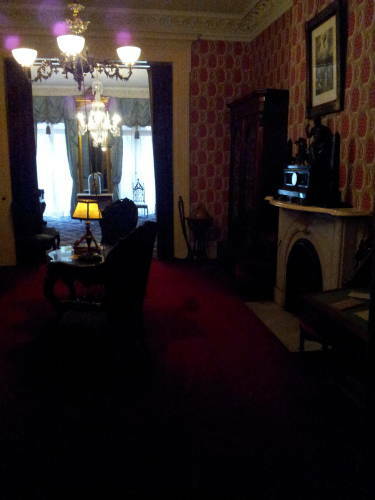 There house had been built in 1848, and the Roosevelts had purchased it and moved in in 1854. By 1872 the neighborhood was becoming more and more commercial. A district known as the "Ladies' Mile" was filling with department stores and smaller specialty clothing shops. The "Ladies' Mile" extended roughly from 15th Street to 24th Street south to north, and from Sixth Avenue to Park Avenue west to east. 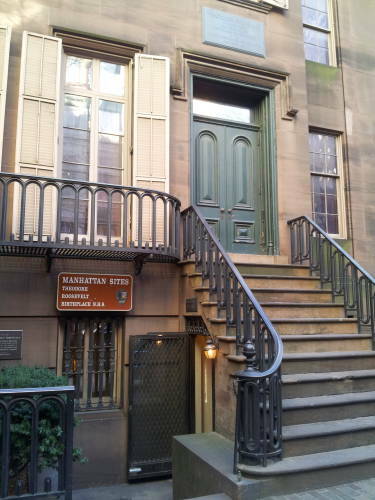 The Roosevelts moved uptown to West 57th Street in 1872. The new address was on the edge of the city at the time. Theodore attended Harvard from 1876 to 1880, and returned to New York to enter politics. The house at 28 East 20th Street was heavily modified several times to serve as a variety of businesses. It was an oyster bar for a while, and operated as several different clothing stores. The modifications made it nearly unrecognizable. The house was demolished in 1916. Theodore Roosevelt died in 1919, and soon afterward the lot was purchased by the Women's Roosevelt Memorial Association. They commissioned the construction of a replica, which was completed in 1923 and was designed to reproduce the Roosevelt home as it existed in 1865. 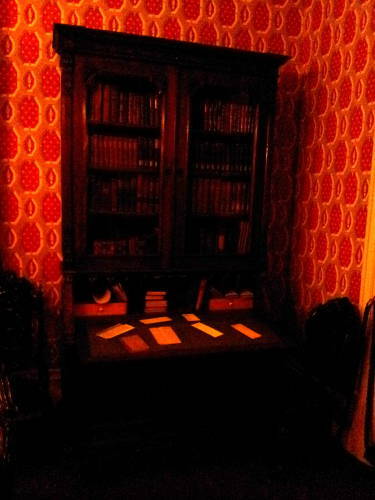 Most of the furnishings are the original items, donated by Theodore's widow and two sisters. The home was donated to the National Park Service in 1963, and now you can visit on tours led by Rangers and volunteers. Natural gas was distributed through pipelines in this area of the city. The Roosevelt home used gas for lighting. The Croton Aqueduct was built between 1837 and 1842. It carried water from the Croton River in Westchester County to reservoirs in Manhattan. Some of the reservoirs were open ponds in what today is Central Park. The Central Park Reservoir, now called the Jacqueline Kennedy Onassis Reservoir, still exists and was in service from 1862 until 1993. It covers 106 acres (or 43 hectares) and holds over 3.8 million cubic meters or 1 billion US gallons of water. The Croton Distributing Reservoir was an above-ground reservoir at 42nd Street and Fifth Avenue, put in service in 1842 and torn down around 1899. This is the current location of the main branch of the New York Public Library and Bryant Park. This reservoir covered 4 acres (or 16,000 square meters), and was surrounded by granite walls 50 feet tall and 25 feet thick (15 by 7.6 meters). It held 20 million US gallons or 76,000 cubic meters. However, water distribution and sewage collection systems did not extend this far south in Manhattan while the Roosevelts lived on East 20th Street. They collected their water from a well and carried it into the house. Then, they had to carry their waste back out. 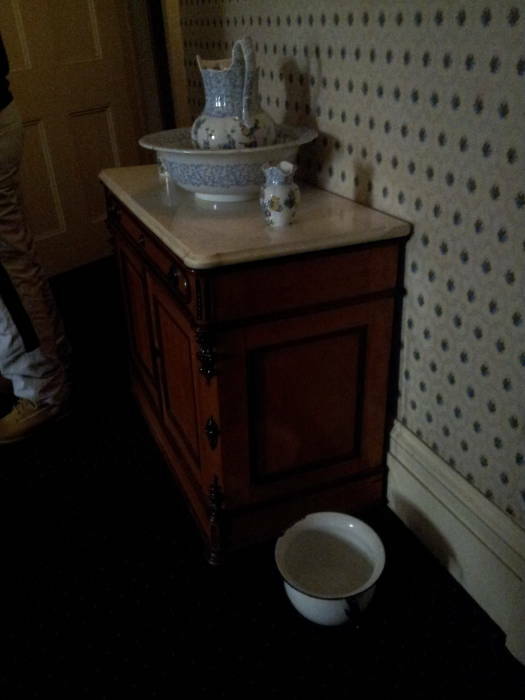 The master bedroom contains the water bowl and pitcher used by the Roosevelts. 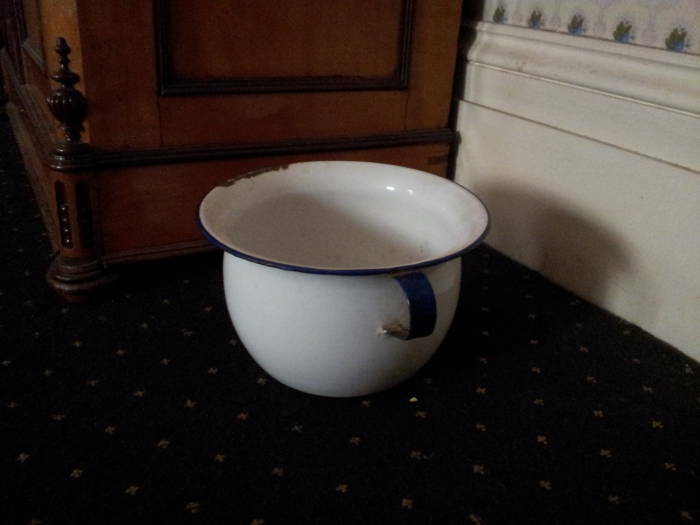 And, on the floor next to the cabinet, their chamber pot. 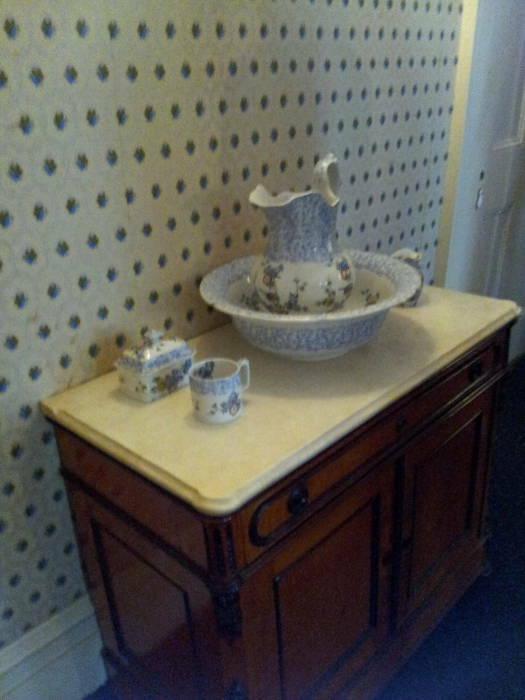 A closet-like room next to here provides a private place for using the chamber pot. It's the closest thing they had to our modern bathrooms. 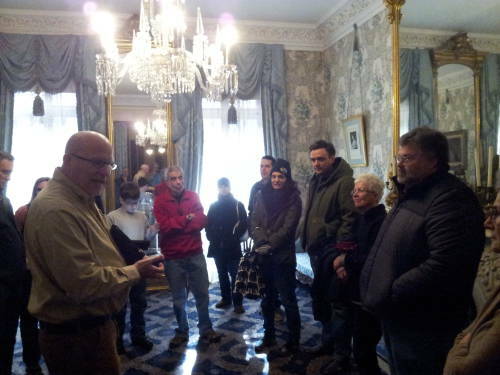 The house was reconstructed in the early 1920s and opened to the public in 1923. The first level, six or so steps down from the sidewalk, was originally the servant's levels — their quarters and work areas. This was where food would be brought in, stored, and prepared, transported from the ground-floor kitchen up to the dining room in a dumbwaiter. Now that level contains a small museum area and the National Park Service offices, along with public restrooms. 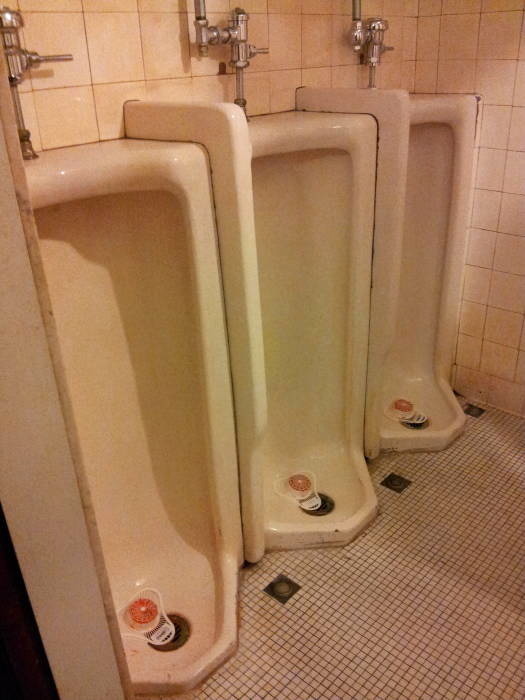 The men's room has the early 1920s style of enormous urinals.